Windsor, CT, August 22, 2018 – Business Risk Partners (BRP), a leading specialty insurance program administrator, has appointed insurance veteran Brad Lacey as a Principal Underwriter focused on management and professional liability products. Simultaneously, BRP has assumed the renewal rights to a management and professional liability portfolio managed by Lacey that was previously underwritten by V3 Insurance Partners, LLC (V3). “Uniquely, Brad has deep experience in underwriting both management and professional liability insurance,” said Lisa Doherty, president of BRP, adding, “We’re thrilled to have him on board to help us grow our specialty lines business and assist with a transition for V3 producers. This is a win-win for everyone involved.” Effective immediately, BRP will solicit V3 management and professional lines renewals through the producing broker. BRP will offer renewal terms to qualifying insureds through its Validus Specialty facility on admitted Stratford paper. Lacey has over 20 years of experience in the specialty lines segment at both carriers and managing general agencies. Prior to building a specialty lines practice with V3, he had a long tenure with Philadelphia Insurance Companies in a variety of roles. Early in his career, Lacey also worked as a production underwriter for Victor O. Schinnerer and USF&G. 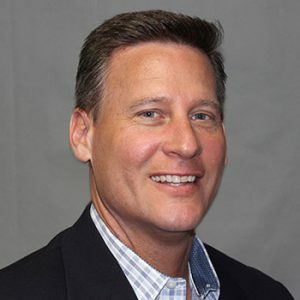 “This move will help ensure continuity of service for V3’s Vantage Point customers as we focus on our core lines of business which includes V3iConnect, our internet worker’s compensation product,” said V3’s president, Brian Janitschke. Brad can be reached at blacey@businessriskpartners.com. About Business Risk Partners (BRP) Founded in 2000, Business Risk Partners is a Specialty Insurance Program Administrator committed to creating long-term mutually-profitable partnerships through superior service and teamwork. Partnering with top global carriers and using proprietary technology, BRP offers a wide variety of Professional Liability, Management Liability, Data Breach/Privacy and Hybridized Specialty solutions to agents and brokers serving middle market customers nationwide. BRP’s underwriting specialists are often commended on their ability to turn complicated risks around in 24 hours. Proprietary technology enables real-time quote, bind, issue and servicing and is seen by many as one of the best in the business. Privately held and based in Windsor, Connecticut, BRP is the recipient of the prestigious Best Practices Designation from the Target Markets Program Administrators Association (TMPAA). For more information, visit www.businessriskpartners.com. About V3 Insurance Partners, LLC (V3) Founded in 2009, V3 Insurance Partners, LLC is a Newtown, PA based Specialty Program Administrator offering insurance programs targeted at middle market companies. Its practice groups include Internet Worker’s Compensation (V3iConnect) and Property/Casualty programs, each managed by industry leaders chosen for their talent, expertise and integrity. V3’s focus is creating value for its carrier partners, producers and insureds. For more information, visit www.V3ins.com.